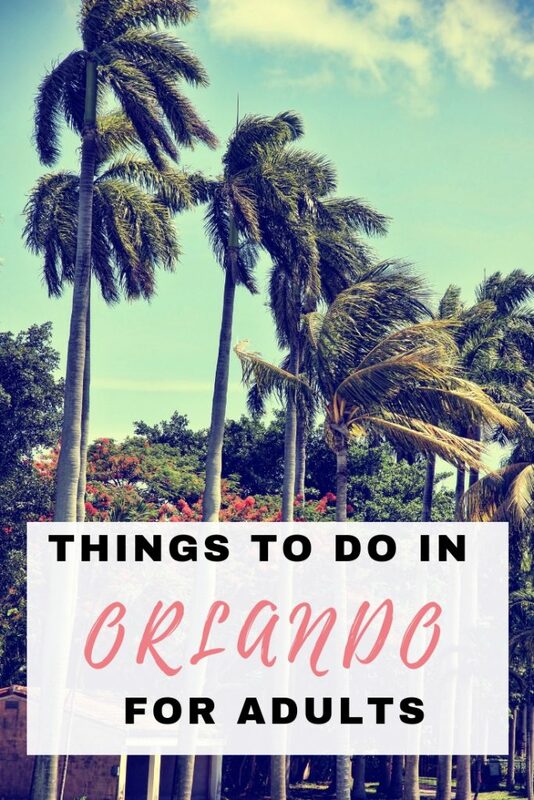 I absolutely love visiting Orlando because it has everything I want, and whilst Orlando is well known for the many theme parks on offer, I want to share some of my favourite things to do in Orlando for adults without going near a theme park. 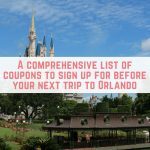 There are plenty of things to do in Orlando without visiting a theme park, and these are just some of our favourites, including prices where I can remember them. The Orlando Cat Cafe is well worth a visit for any cat lovers. For $8 for one hour you get to spend the hour in the company of some cats – what more could you want? You can also buy food and drink from the coffee shop next door if you want. 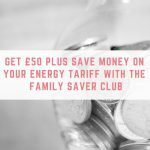 There are lots of toys to play with, as well as cat related board games to play whilst you are there – I definitely need to get my hands on The Crazy Cat Lady Game and Catopoly. The Orlando Cat Cafe is located opposite one of the biggest Walmart stores I have ever been in, so you can also visit there as part of your trip. The Sea Screamer is kind of cheating because it is actually in Clearwater, which is a 2 hour drive away from Orlando, but it definitely belongs on this list. In fact it is my favourite activity, and I can't wait to visit again. The Sea Screamer is a dolphin spotting tour on board a massive speedboat. The boat is so big that they have two restrooms! As well as spotting dolphins you will also be shown some celebrity houses, and there are some serious #goals on that boat. Sea Screamer is $24 per adult for an hour, plus you will need to tip the onboard staff. There are usually 3 tours a day to choose from, and booking in advance is recommended. How much spending money do you need for Orlando? What more can you want than to watch knights jousting whilst eating your food with your hands at Medieval Times? Medieval Times is definitely a must in Orlando – a fun dinner show that will keep you fed and entertained. Start off with a tour of the Medieval village including a torture chamber, before heading to the arena for dinner and a show. The arena is divided into six sections, with each section getting a knight to cheer for. Watch your knights compete in different competitions to see who wins. This was so much fun (and thank you to Visit Orlando for arranging a visit for us) that I can't wait to take my Dad when we next take him to Orlando. 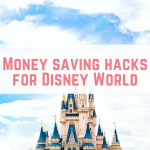 The theming in all of the Disney hotels is spectacular, and regardless of whether we are visiting the Disney theme parks or not, we like to visit a Disney hotel for a meal during our stay. ‘Ohana at The Polynesian: This is hands down our favourite place to eat in Disney for dinner. The food is served family style and is an ‘all you care to enjoy' type. Everything here is perfect. You start with coconut bread and the best salad I have ever had, then noodles with vegetables, dumplings and chicken wings arrive, before cast members walk around with skewers of sizzling meat (shrimp, chicken and steak) for you to choose from. It is all finished off with this amazing coconut bread pudding. Yum. If you time your reservation correctly then you can also get a view of Magic Kingdom's nightly fireworks, Happily Ever After. Advanced booking is absolutely a must, and we pay around $110 for two of us including a tip. Sanaa at Animal Kingdom Lodge: Sanaa is a close second to ‘Ohana, and probably wins for the theming and the fact that you can walk right outside the restaurant and see the animals up close. Sanaa has a selection of Indian and African meals and their naan bread starter is out of this world. You can choose a few dips, or for $2 more just get all of the dips because they are amazing. Whispering Canyon Cafe at The Wilderness Lodge: If you like to see weird antics whilst you enjoy your food, OR you want an ‘all you care to enjoy' unlimited meat skillet, you need to visit here. The cast members will do all sorts of shenanigans with you (ask them for ketchup) during your visit, and the all you care to enjoy skillet costs under $30 each and comes with unlimited ribs, chicken, pulled pork, cowboy sausage, beans, mash, corn and cornbread. You might need a food nap afterwards. Orlando has so much good shopping that I could definitely visit just to hit up the shops. I love visiting supermarkets like Walmart and Target, to the outlets for a designer bargain. Please don't book any accommodation in Orlando that doesn't have access to a pool! Whether it is a shared hotel pool, or your private villa pool, I love spending hours on end in the swimming pool in Orlando. What I love about being in the pool is that you can't be on your phone, or watching tv or anything else. It is time to really talk to each other, or in my case, get the creative juices flowing. My best ideas always come to me in the pool! Disney Springs, formerly known as Downtown Disney, has something for everyone! Not only do you have your famous Disney related stores (you can get lost in World of Disney) they also have other shops and restaurants, bowling and even a cinema where you can dine in. Parking and entry are both free at Disney Springs, and you can spend as much time as you like there – from 5 minutes to pop into Sephora for something, to spending the whole day there. Dine in movies: get a full menu and waiter service whilst watching your favourite film. 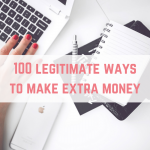 This really fun activity can get quite expensive, and with cinema tickets, a meal and the tip we have often spent close to $100 for the two of us. Art of Disney store: The Art of Disney store is a great place to visit if you want to take some of Disney home with you. With artwork to suit any budget, it is worth a visit. Boat trip: There is a complimentary boat trip service across Disney Springs, and this is a great way to kill time, get to the other side of Disney Springs or just cool off with the wind. Foods: There are so many amazing places to eat at Disney Springs, to suit any budget or mood. From street food vans to fine dining, you will find something for everyone. Okay, so we don't go on holiday to watch tv, but listening to the American tv adverts is hilarious when you compare them to British adverts. Laws in America mean that any adverts for medication need to list the side effects. This makes the adverts a lot longer, but also really weird to hear an antidepressant advert come with the side effect of ‘suicidal tendencies', or an advert for a sleeping products to come with the side effect of ‘nighttime eating that you don't remember'. 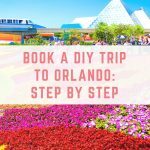 I hope this blog post has given you some ideas of our favourite activities in Orlando that don't involve visiting a theme park. 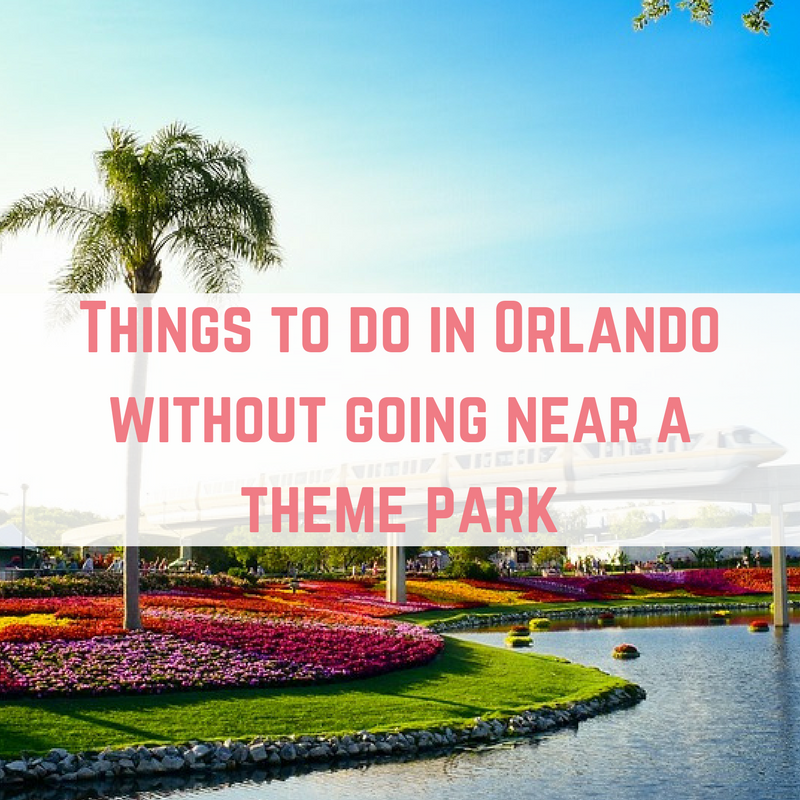 There are so many great things to do in Orlando that this is really just the tip of the iceberg.